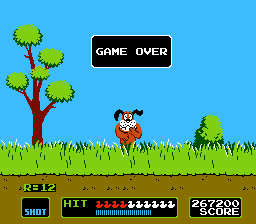 Released in 1984 by Nintendo, Duck Hunt was one of the first games on the NES platform to use the 'light gun'. 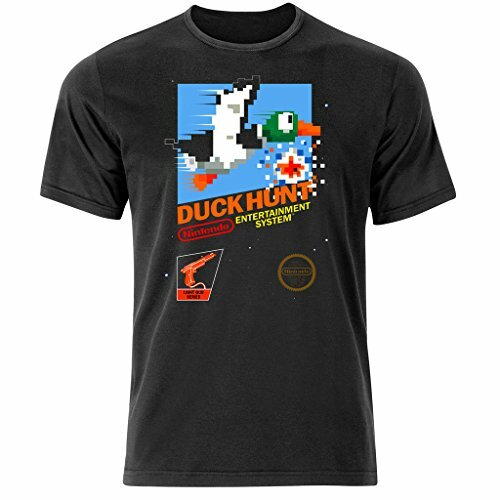 The basic idea of this game is pretty simple - you're a duck hunter armed with a pistol and your trusty dog. 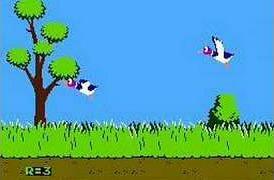 You have three shots to shoot one or two ducks each round. After ten rounds of duck hunting (you'll probably be rather bored of shooting duck at this point), you go to the shooting range and shoot at clay pigeons for another ten rounds - although the dog is absent. The game is rather fun and satisfying initially, but gets old quickly. The sound effects are pretty much what you'd expect for a game from the early 1980s - that is, awful by todays standards - gameplay and graphics are simple - but it remains a classic and is fun to play every once in a while. 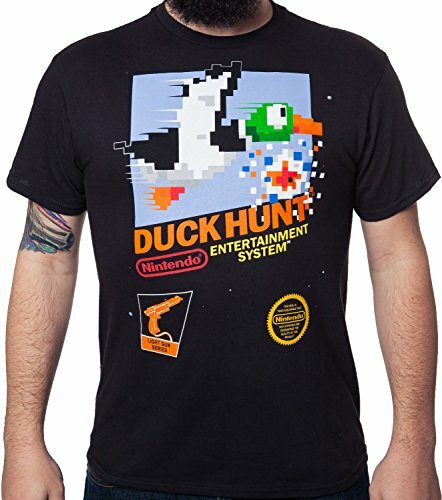 The iconic but very annoying Duck Hunt dog who laughs at you whenever you miss your target! It's such a pity that you can't shoot him, too! A screen grab featuring some flying ducks - what a boring game it would be without them!